First Monday is with us again. Mondays were never good days but now they’re fantastic! Where else do you get writers playing at being rock stars, wearing stetsons, drinking wine and talking about their very own fictional fantasies…..Ooh err…are you ready to meet this motley crew? The First Monday Gang form a band…. First Monday is good because…. CU: It involves good books, good conversation, drinking and Barry Forshaw, all of which naturally go together. JB: Where else do you find four awesome crime writers just hanging around on a Monday night? There’s never anything to do on a Monday. 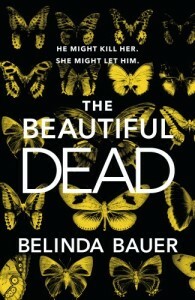 CU: Psychos meet psychics in the haunted dancehall of Blitzed London. 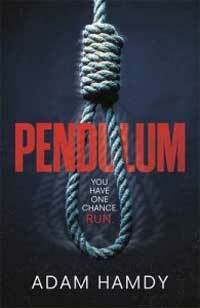 AH: Pendulum is an action-packed hunt for a very modern killer. JB: Psychiatrist stalked by badass psychopath. Who has she let in? CU: Dinner at Rules with lashings of fine wines. Lamb shawarma. Loved all over the Middle East, when made properly this simple Arab/Israeli street food is unbeatable. Describe the setting of your novel – is it somewhere only to visit in fiction? Where could we visit in real life? Where would you take the other three authors on the First Monday panel? 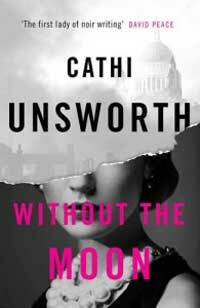 CU: Only if we had a time machine, as it is set over two weeks in February 1942, quite a dangerous time to visit London. Though the worst of the Blitz was over, two killers were at large, moving through the West End and Paddington in search of prey. It is all based on things that really happened and characters that lived in this era. I would love to take everyone to the Entre Nous, this club on Archer Street, Piccadilly, where Fleet Street hacks mingled with the criminal elite and members of the Flying Squad, listening to the hottest hepcat jazzers of the day. AH : Many of the places featured in the novel can be visited in real life, from the striking inland cliff formation that is the Roaches in the Peak District, to the golden sands of Malibu, California. Most of the locations feature because they’re places that have made a strong impression on me personally and I felt they’d add to the texture of the novel. I’d take the other three authors to Malibu because the sun, sand, and endless Pacific are great inspiration. And they make passable margaritas at Geoffrey’s Restaurant. JB: My novel is set in Shrewsbury, Shropshire and it’s actually my hometown so if you want to come and visit I’ll take you for a drink by the river. (*books train ticket straight away* ) I took some slight liberties with the places, one of the bars I mention closed down while I was writing it but I needed it to stay open so it did! Shropshire is so gorgeous, I’d recommend anyone stay there whenever they can. You form a band with the other First Monday authors this week. What kind of music would you play and what would your name be? CU: Spooks You Sir, playing swing classics and Henry Hall’s children’s rhymes on piano, double bass, saw and Theramin. AH: We’d have to play jazz because it’s the only musical style that actively encourages individuality and gives musicians the space to express themselves. With four authors, everyone in the band is going to need space to riff. The band name would have to be ‘Wrong is Write’, which is a play on a Thelonious Monk quote in which he said there are no wrong notes, only right ones. Just like there’s no wrong approach to writing. Never mind first Monday – it’s your final Friday – which book on your TBR pile MUST you read? CU: I would finish off reading Vulgar Tongues by Max Décharné, an alternative history of English slang that I am currently halfway through and fairly close to laughing myself into casualty anyway. 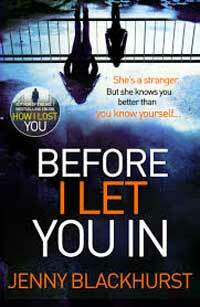 JB: I really want to read Behind Her Eyes by Sarah Pinborough but it’s not out for flippin ages. If it really was my last Friday I could probably bribe someone to lend me a copy. It’s not like they wouldn’t get it back pretty quickly! Your character appears in another book or partners up with another character – which book/character would it be and why? CU: I would like my Detective Inspector Ted Greenaway to have a go at taking down Ernest Ralph Gorse, Patrick Hamilton’s most devilish villain. It would be a good meeting of wits and mutually interesting locations in racecourses, boarding houses and bars in Brighton, London and the Home Counties. AH: I’d love to see John Wallace in one of the Alice Quentin books by Kate Rhodes. He’s such a damaged soul and I think Alice would be able to formulate a course of therapy that would fix him pretty sharpish. Which book would you like to do a booktrail of yourself ? CU: I would love to visit the neon wilderness of Nelson Algren’s The Man With The Golden Arm, set in Chicago just after the end of World War II. I have stalked some of the locations and the bars that Nelson frequented that are still there today, but it would be a lot better if he had the necessary time machine and was the tour guide. AH: Last year, I adapted Number9Dream for screen and fell in love with David Mitchell’s Tokyo and his depiction of the magical island of Yakushima. Less keen on the Yakuza underbelly, but every book is going to have its rough parts, and I’m certain that I’ll be able to avoid any violence with a combination of Google Translate, loudly spoken English, and clueless smiles. JB: This probably isn’t very original but I’d say The Da Vinci Code. It fascinated me at the time and I’d love to read it again as I visited the places in it. After I’ve tidied up after this lot, I’m going to eat a Blackhurst caramelised onion chutney toastie, with a Hamdy cocktail listening to a jazz tune. The Cathy and I are off on a time travel tour. Maybe one day you will see these writers in one of the bands suggested, with Adam Hamdy wearing a stetson. I’m going to get Jenny riled up about that Sarah P novel and then maybe we can get that recipe off Hamdy..I would invite Cathy but she’ has actually now laughed her way into casualty as she said. She will be back for First Monday tomorrow though.